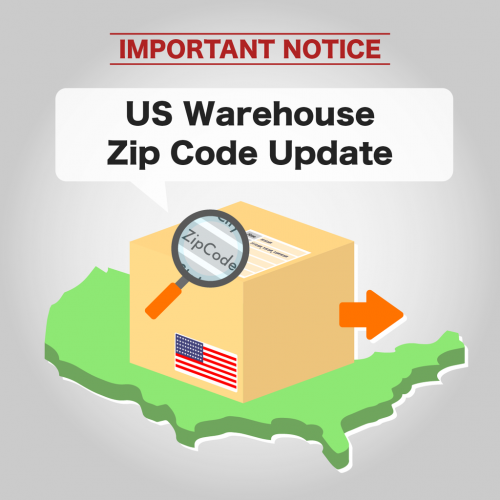 Please note that the US warehouse zip code has changed from 97217-1009 to 97217-9600, but on many websites/online shops you can still use the old zip code. For any future parcels with destination US warehouse, you can try to fill in the old zip code 97217-1009 and if the website doesn’t accept it, use the new zip code 97217-9600. For anyone who has just recently used our US warehouse address to send a parcel, don’t worry, it will still reach our warehouse since many websites allow both/the old zip code address as well.